Francisco Estrada-Belli, a leading Mesoamerican archaeologist and professor at Boston University, and Clay Haswell, a retired business executive long fascinated by Mayan culture, met at a Mayan archeological symposium in Honduras in December 2009. A month of discussions about current work being done in northern Peten culminated in the idea for an educational project that could teach children about their cultural and geographic heritage virtually as it is being unearthed and, hopefully, protected. In February 2010, Haswell, along with WFPI director Bob Porterfield, presented the Maya Archaeology Initiative to the WFPI Board, which unanimously embraced the project. The MAI’s mission is to develop, operate and seek funding for educational programs that make Mayan history and culture accessible to Mesoamericans through innovative use of digitalization, CGI and other media. Its specific goal is to create educational programs for Guatemalan children, particularly in rural areas where most Mayans live, that teach about their cultural heritage in a way that brings it alive. Children in Mesoamerica, like Native American children in the United States, are seldom taught about their pre-Spanish Conquest heritage. Because most anthropological and archeological efforts are university-affiliated and funded primarily from the United States and Europe, the information is neither translated into any of the Mayan languages nor adopted for young students. Dr. Estrada-Belli, a Guatemala national, has worked in northern Peten for more than a decade. He holds a research concession from the Guatemalan government for archaeological exploration of the ancient cities of Holmul and Cival. Holmul was occupied from approximately 800 B.C to 900 AD, making it one of the longest continuously occupied Mayan cities, and had a major influence on the area around it. The site has been explored by Estrada-Belli since 2000 under grants from the National Geographic Society and other private institutions. With the discovery of Cival in 2001, Dr. Estrada-Belli pushed back the dawn of Mayan civilization by several centuries, and was duly noted by the media around the world. What made the discovery of Cival so remarkable was the presence of a massive mask found near a tunnel dug by looters: the 15-foot by 10-foot stucco mask dated to roughly 200 B.C., making it perhaps the oldest find in Maya history. A capital city in the region where as many as 10,000 Mayans may have lived, Cival was originally referenced but not explored by Harvard’s Raymond Merwin in 1911, but its discovery waited until 2001, when Estrada-Belli, guided by GPS technology, set foot in the lost city. Precious jade axes, a stone slab with sophisticated carving dating to 300 B.C, as well as other invaluable remains, were eventually unearthed. MAI is a standing committee of the World Free Press Institute, which has been supporting free expression in emerging democracies in Africa and Eastern Europe since 1997, and has recently launched a number of programs in the Americas. Most notably, WFPI has provided training in media management, investigative reporting, and governmental transparency on grants from UNESCO, the Ford Foundation, the Eurasia Foundation and many others. Though MAI is a new initiative for WFPI, its support of indigenous communication and cultural preservation fits the parent organization’s longtime mission of support for freedom of expression. 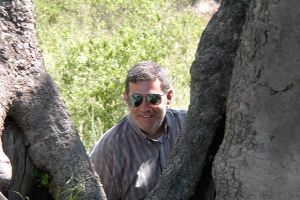 Francisco Estrada-Belli, (Ph.D. Boston University 1998) is an archaeologist who specializes on the beginnings of Maya civilization as well as Geographic Information Systems, remote sensing and other computer applications for archaeology. He is currently research assistant professor in the Department of Archaeology at Boston University, a fellow of the Society of Antiquaries of London and member of the Society for American Archaeology and of the fFaculad de Humanidades of the Universidad San Carlos of Guatemala. He is the author of the book The First Maya Civilization: Ritual and Power in the Maya Lowlands before the Classic period, Routledge, 2010. Dr. Estrada-Belli has been featured in numerous newspaper and magazine articles and television programs for his research, and is a native of Guatemala. He has received major funding from National Geographic, the National Science Foundation, and Vanderbilt, Brigham Young and Boston universities. Clayton Haswell is chairman and co-founder of the World Free Press Institute, MAI’s parent organization. As president and CEO of a global Internet company he was responsible for fundraising and global operations. He worked for the Associated Press for 18 years and was Managing Director for Asia and the Pacific, based in Hong Kong, with responsibility for the AP’s business in 33 countries. Prior to that he was California / Nevada bureau chief, and edited several California newspapers. With WFPI, Haswell has lectured and taught seminars in Africa, the former Soviet Union, and Asia on grants from, among others, the United Nations, the Ford Foundation and the Eurasia Foundation. 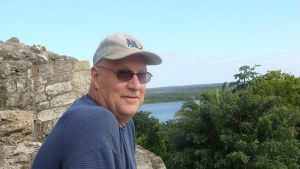 He has had a life-long interest in Mesoamerican archaeology and history and has traveled extensively in Latin America and some 90 countries. Robert M. Porterfield is a co-founder of the World Free Press Institute and has a lifelong interest in antiquities. He is also a two-time winner of the Pulitzer Prize for investigative reporting, journalism’s most prestigious award. He has expertise in computer-assisted research and database reporting. A Nieman Fellow at Harvard University and a Bagehot Fellow at Columbia, Porterfield has taught in the master’s programs at Columbia and UC-Berkeley. 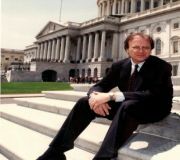 As a founder of WFPI, Porterfield has trained journalists in Russia, Kenya, Egypt, and numerous other countries, and specializes in training Third World journalists in anti-fraud and corruption reporting techniques. Heather Yountz is an immigration attorney with substantial expertise in development of non-profit ventures and an avid interest in Mesoamerican culture. Following graduation from the University of North Carolina in 2000, she established Habitat for Humanity college chapters in Australia and New Zealand, the first in the Pacific. She has travelled extensively throughout Meso- and South America and is fluent in Spanish. While travelling and living in Asia, she worked with preschool-aged children in a Thailand orphanage. She received her law degree at Northeastern University in 2007, having interned at the Massachusetts Commission Against Discrimination and the United Nations High Commissioner for Refugees. She is currently an asylum attorney at Greater Boston Legal, whose client base is largely from Mesoamerica. 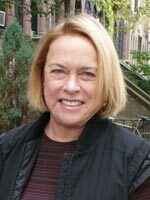 Mary Neivens is an internationally recognized archeologist who has worked on and written about Mesoamerican sites for more than 30 years. Among Mary’s current interests are helping schools and hospitals in underprivileged communities obtain equipment donations and protecting archaeological sites in Guatemala. Mary received her MA degree in Mesoamerican archaeology in 1977 at the Universidad de Las Americas, in Puebla, Mexico. She began work at Lambatyeco, Oaxaca, then mapped and excavated the Maya site of El Pozito in Northern Belize in the 1970s. She later excavated at Pusilha in Belize and worked at the Brookhaven National Laboratory to analyze archaeological obsidian. Currently she is a member of the Holmul Archaeological Project and runs the archaeological field laboratory at Holmul. Sam Haswell, Director of Commuications – Sam brings more than a decade of marketing and communications experience to his role with MAI. He has directed communications for both the Apollo Alliance and Rainforest Action Network, and was a communications executive for the environmental nonprofit Oceana. He earlier served as press secretary to U.S. Senator Mark Dayton of Minnesota. Sam earned a B.A. in philosophy from the University of Colorado and studied literature at Sweden’s Uppsala University. W.H. “Buzz” Fawcett, is following the path of Col. Percival and Capt. 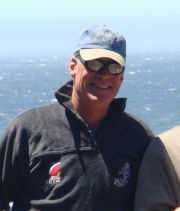 “Billy” Fawcett looking for adventure on the world’s fringes. A life long admiration of the Maya and knowledge of their terrible story of oppression drives Buzz to work for the children, the people and their environment. Buzz is the President of W.H. Fawcett, LLC, a law firm in Washington D.C. specializing in complex governmental and legal issues for a select clientele. Buzz’s background in multiple legal disciplines and his knowledge of the dark halls of Congress make him uniquely qualified to serve as a Board Member. 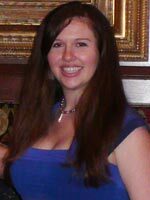 Nina Neivens MA, Tulane University 2006 is an archaeologists focusing on early Maya ceramics and architecture and the origins of Maya civilization. Since 2003 she has been excavating at the site of Holmul where she uncovered the Maya’s earliest monumental sculpture. She is completing a dissertation on ritual use of ceramics and associated buildings. Nora Lopez,is one of Guatemalan leading archaeologists with 30 years of experience in investigation and public service cultural patrimony. Holds a BA in archaeology, an MA in conservation and a diploma in public administration (BID). A professor of the Universidad of San Carlos, Lic. 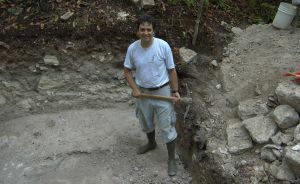 Lopez has served as coordinator of the Guatemalan Archaeological Atlas and was vice-director of Cultural Patrimony for Guatemala from 1999 until 2004. Antonio Cuxil,a member of the Kaqchiquel Maya community, is a native of Chimaltengo, Guatemala. After working in the tourism industry for years, his passion for Maya culture led him to pursue the study of Maya epigraphy. He has led tours and workshops on Maya history, and is fluent in Kaqchiquel, English, French, German and Spanish. Marco Gross is a swiss-born businessman who lived in Peten and Belize for the last 40 years and who has a keen interest in the conservation of cultural and natural resources of this beautiful region. He owns a travel and expedition outfitting company (tikaltravel.com) in Melchor near the Cival and Holmul sites, and operates the Rio Mopan Lodge with his wife, Inmaculada Salcines. Roan Balas McNab is the founder founder of Asociacion Balam, a Guatemalan NGO dedicated to preservation of the Maya Biosphere Reserve. He arrived in the Maya Biosphere Reserve in 1996 to study the impact of chicle gum and “xate” palm frond harvesting on wildlife in Uaxactún. He established a community-based conservation project and assisted Uaxactún villagers building the largest community-managed forest concession in Mesoamerica. The Uaxactún community forest functions as a crucial biological corridor, linking Tikal National Park with the Maya Forest areas in adjacent sections of Belize and Mexico. The Wildlife Conservation Society now assists Associacion Balam in co-managing the Mirador-Rio Azul National Park, a natural and cultural wonderland containing the largest and most intact ancient Maya sites remaining in Guatemala. Since 2004, he has led WCS Guatemala’s participation in the Living Landscape Program to strengthen the links between wildlife, landscape planning, and targeted conservation interventions, and has developed new programs to protect the scarlet macaw, which is facing extinction in Guatemala. He is also active in efforts to protect jaguars across the reserve, and increase access to basic education in allied rural communities by emphasizing modern technology. Roger Lyon has been elected an honorary Board Member Emeritus. A highly successful environmental attorney and MAI advisor, Lyon was killed while flying his private plane to Mexico to set up a free health clinic for the Flying Samaritans. Lyon left a considerable mark on environmental matters in California. An avid surfer, he was lead negotiator for the preservation of a 21-mile stretch of California coastline south of Big Sur. Lyon focused his practice on negotiating complex land conservation projects and founded the Cayucos Land Conservancy, which has protected four miles of California coastline. He received the Governor’s Environmental and Economic Leadership Award in 2009. Roger’s wife Susan and their family own and operate Cottontail Creek Ranch in Cayucos, California (www.cottontailcreek.com).